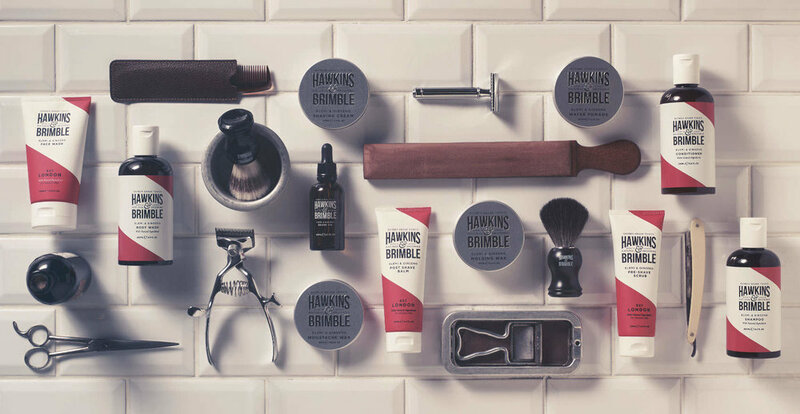 To create an authentic, yet natural men’s grooming range from the ground up! Our only limitations were that it had to be rooted in the UK and to appeal to a premium male grooming market. We were aware of the many barber and beard ranges, we wanted the brand to be cut from a different cloth. 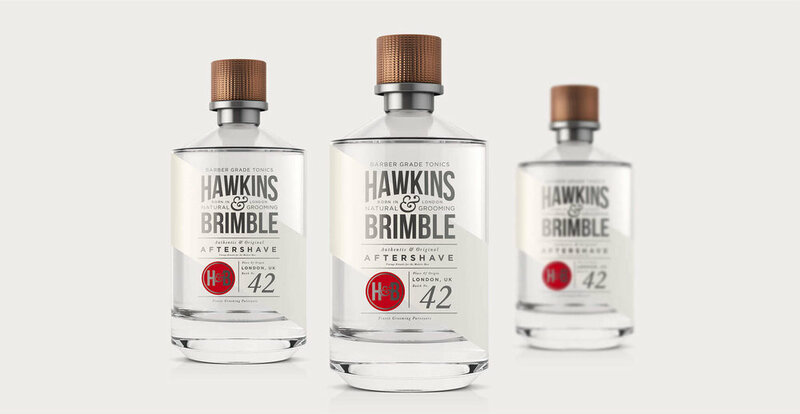 A bespoke, illustrative style and typography based on beautiful vintage barber signage give the brand a sense of authority. A vibrant flash of red cuts through the pack, indicative of traditional barber poles yet angular and tightly cropped to add iconic modernity. 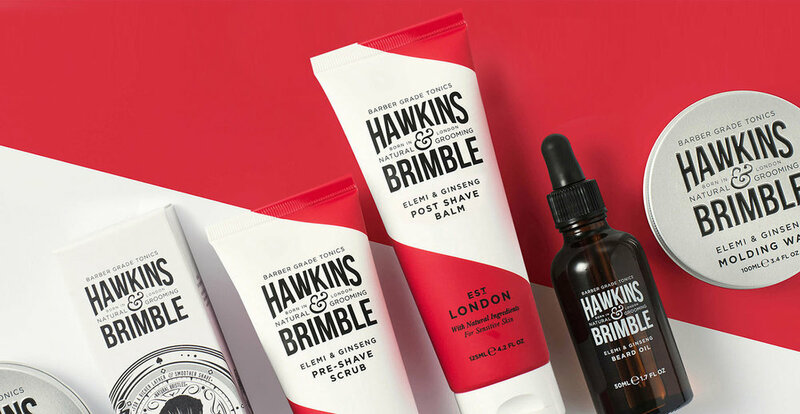 "Design Happy Have been fundamental to the success of Hawkins & Brimble, creating an eye-catching and iconic brand from scratch that has helped secure a raft of listings and celebrity endorsements"